The Weekly is becoming a daily Blast — with everything you've always loved but now with the quicker flow that you've come to expect of your sources of must-know political news. 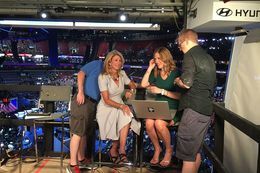 Former state Sen. Wendy Davis getting ready for a television interview inside of the Wells Fargo Center, site of the 2016 Democratic National Convention in Philadelphia, on July 27, 2016. Also, CD-23 challenger Pete Gallego attacks Washington-style politics in one ad and is attacked as a Washington insider in another one. Gov. Greg Abbott speaks to a large crowd of state leaders at the Texas Education & Workforce Summit Sept. 19, 2016 at the AT&T Center. 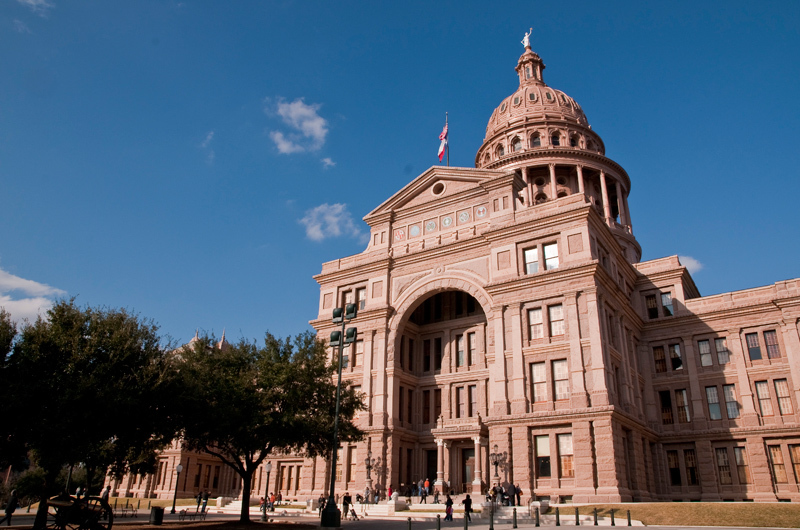 Also, Abbott replaces a pair of "holdovers" on the Texas Ethics Commission. For this week’s nonscientific survey of insiders in government and politics, we asked about the debates between the candidates for president and vice president. Key meetings and events for the coming week. Not seeing kids who may be child abuse victims is not acceptable. That's our job and we have to be better. Y’all are going to have to decide whether you want these laws enforced or not. There’s enough liars in politics that we ought to know who’s telling the lies. We've got to come together. We're our biggest detriment to getting this done. We need to have a plan. Texas women like people to give it as it is. He's a bottom-line guy, and that's why I think they're good with him. Obviously the man has a problem with women — self-respecting women, anyway. How am I going to look my daughter in the face and say, 'Yeah, sure, that's OK'? We’re conducting a survey of Texas Tribune readers. Your responses will help us get to know you — and how we can serve you — better. Do you have 10 minutes to help The Texas Tribune? Take the survey now. In the state's most competitive congressional race, Democratic CD-23 challenger Pete Gallego pushed back Thursday on claims that he became a lobbyist after losing the seat to U.S. Rep. Will Hurd. 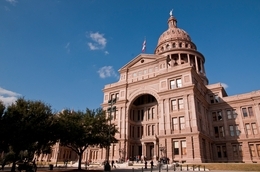 Texas Attorney General Ken Paxton is jumping into the fray over a controversial Austin ordinance that regulates short-term home rentals made popular by websites like Airbnb and HomeAway. He is asking a Travis County district judge for permission to intervene in the suit homeowners already filed against the city. After vowing six months ago to reach a consensus on a plan to protect the Houston Ship Channel's oil refineries and chemical plants from a direct-hit hurricane, the region's scientists said Wednesday they aren't there yet — and won't be until next year at the earliest. A Texas senator on Wednesday called Texas Ethics Commission members “arrogant” and “haughty,” during a hearing that comes came amid a battle between the commission and conservative groups, particularly those that are set up under a part of the tax code that does not require them to disclose their donors. The Texas Department of Public Safety and Austin Police Department will begin including information about how drivers can file complaints against officers on the citations they issue, one quick result from ongoing legislative efforts to improve relations between police and communities. 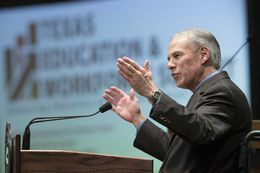 On any given day in the past six months, nearly a thousand of Texas' "highest-priority" children — considered by the state to be at immediate risk of physical or sexual abuse — were not checked on even once by Child Protective Services investigators. The numbers, publicly released on Tuesday, paint a disturbing picture of the Texas child welfare system as it buckles under a funding crisis. Disclosure: HomeAway has been a financial supporter of The Texas Tribune. A complete list of Tribune donors and sponsors can be viewed here. Vice President Joe Biden on Tuesday morning endorsed Pete Gallego in his campaign to reclaim the CD-23 seat. Biden wasn’t the only high-profile national Democrat this week to support Gallego’s challenge to freshman Republican Will Hurd. House Minority Whip Steny Hoyer visited San Antonio on Thursday to boost Gallego’s bid. Republican HD-126 candidate Kevin Roberts announced on Tuesday his endorsement by the political arm of the Texas Association of Business. He is running to succeed state Rep. Patricia Harless, R-Spring, who opted not to run for re-election this year. Miranda Goodsheller has departed the office of state Rep. Myra Crownover, R-Denton, for a job as governmental affairs manager at the Texas Association of Business. Goodsheller was chief of staff for Crownover, who is not running for re-election this year. Price Ashley has joined the consulting firm Imperium Public Affairs. He previously worked in the public and regulatory practice group at Winstead PC and as legislative coordinator for the Texas Association of Manufacturers. Students for Concealed Carry announced that Brian Bensimon, who previously served as SCC director for the state of Texas, has been named the organization’s new Southwest regional director. 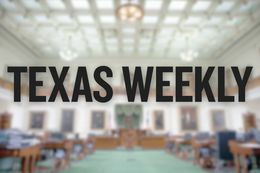 Outgoing regional director Antonia Okafor assisted with the lead-up and implementation of SB 11, otherwise known as “campus carry,” at Texas universities. The National Conference of State Legislatures (NCSL) has named state Rep. Rafael Anchia, D-Dallas, the vice chair of the organization’s Labor and Economic Development Committee. Ed Archuleta, who is largely responsible for the placement of a water desalination plant in El Paso, was given the Texas Desalination Pioneer Award by the Texas Desalination Association at its annual conference in Austin last week. Currently the director of water initiatives at the University of Texas at El Paso (UTEP), Archuleta previously served as president and CEO of El Paso Water Utilities. Disclosure: The University of Texas at El Paso, Texas Association of Business, the Texas Desalination Association and Patricia and Sam Harless have been financial supporters of The Texas Tribune. A complete list of Tribune donors and sponsors can be viewed here.